Located in the centre of the beautiful Forest of Dean, The Speech House is surrounded by many fun and adventurous summer activities. 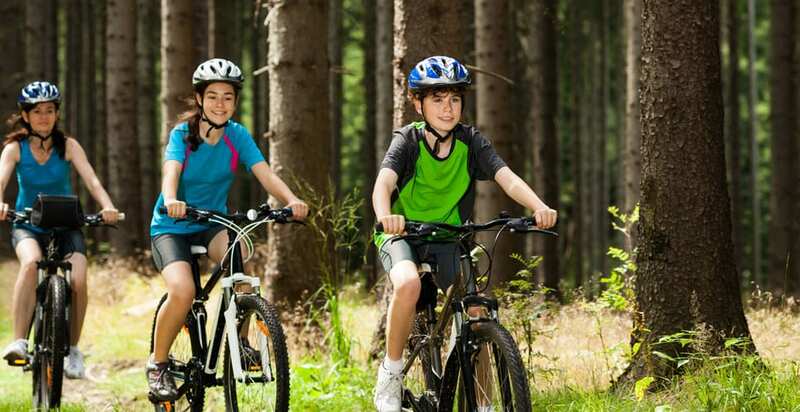 Cycling is so popular in the Forest that we have decided to let you in on some of the wonderful cycle routes that are easily accessed from The Speech House. Whether your looking for something beginner or advanced, family friendly or adventurous, routes of varying difficulty are covered in this blog post. This waymarked circular route that starts and ends at The Speech House is mainly on former railway lines with connecting routes to villages and picnic sites. This route has been especially surfaced and is suitable for all ages and abilities. The trail takes you along the old Severn and Wye railway line, passing former stations at Drybrook Road, Cannop Wharf and The Speech House. Former coal mines can be seen at Foxes Bridge, Lightmoor and New fancy. Look out for the six fun features as you journey around the forest. For those that want a shorter route using a section of the Family Cycle Trail should try the Hicksters Way Loop. This circular trail is 5 miles long, starting and finishing at either Cannop Cycle Centre or Beechenhurst Lodge. Follow the Family Cycle trail to Drybrook Road Station and then follow the Hicksters Way arrows back to your start point. This popular 7 mile trail is designed and built by Rowan Sorrell’s ‘Back on Track’ team and is an exciting and adventurous trail for intermediate and experienced cyclists on mountain bikes. This fun route has a thrilling combination of different surfaces, narrow areas, moderate climbs, bumps, flowing berms and undulating whoops. This trail is stats and ends at Pedalabikeaway just a mile from The Speech House. 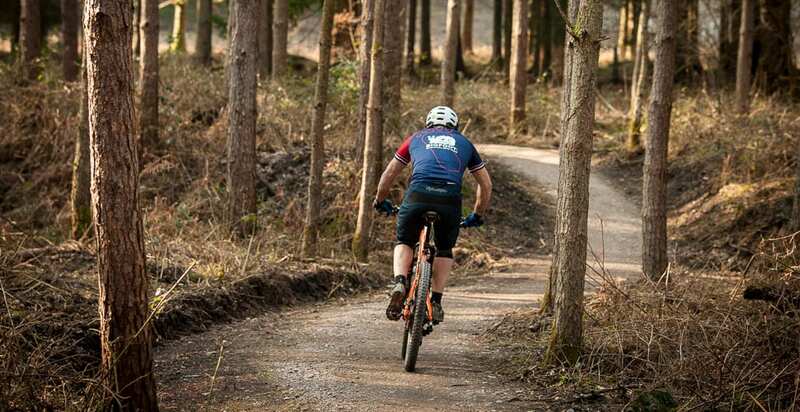 This single track trail is one that can offer a challenge to even the most experienced and demanding riders, including tricky switchback climbs, rooty drops and hairpin bends. This trail is intended for experienced riders only riding an off-road quality mountain bike. The trail is 4.5 miles but has plans to be developed. There is also an unsurfaced, completely natural optional extension to the trail. This trail is stats and ends at Pedalabikeaway just a mile from The Speech House. 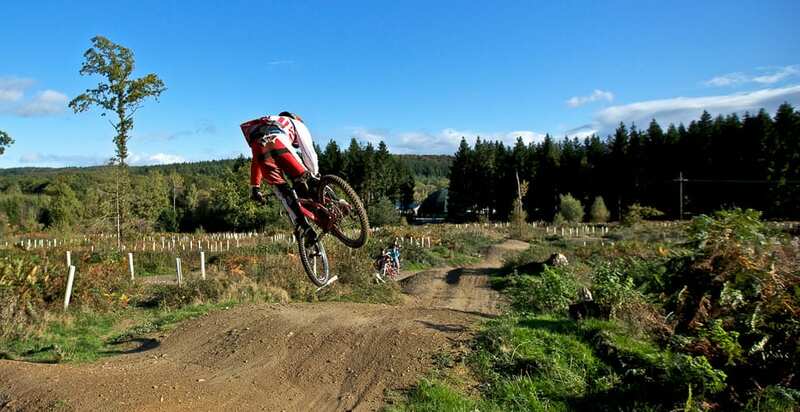 The Downhill trails at Cannop Cycle Centre are for expert mountain bikers with a high level of technical ability. The trail involves 9 short, fast, steep trails, full of features and rideable in most weathers. There are also a number of unofficial trails which can be linked together. Expect to find a range of severe drops, jumps, table tops, berms and loamy corners, off camber and rocky and rooty sections. Helmets and a high quality bike are all essential and body armour is recommended. Click here to view all of these routes on a map. Whichever route you decide to take, we hope to be able to accommodate you at The Speech House, or if you are not planning on staying over maybe a heart meal after all that exercise will be just what you need. Take a look at our Explorer Breaks 2 night special or call 01594 822607 to make a reservation. Images provided by The Wye Valley and Forest of Dean Tourism Association.